A septuagenarian reluctantly teams up with a kid explorer in a hilarious and heart-thumping adventure that won an Oscar as Best Animated Feature Film. Carl Fredricksen (voice of Ed Asner) is an irascible old codger determined to travel to South America by tying helium balloons to his house. The only kink in his plan is the eight-year-old stowed away on his front porch. Despite their differences, the unlikely pair make a perfect team when it comes to taking on the dangers of the wilderness. Tim Burtons stop-motion animated feature finds Pumpkin King Jack Skellington thinking the grass is greener over in Santa Clauss holiday. He marshalls all his goblins and ghouls to take over Christmas but alas, poor Jack belongs to Halloween. An amazing visual and musical feast that should be seen at least twice to catch all the kinks and quirks in the nooks and crannies. This wonderfully animated tale is set in the Central Park Zoo, where a group of animal friends escape from their comfortable surroundings and find themselves on a journey to the wilds of exotic Madagascar. Voices include Ben Stiller, Chris Rock, David Schwimmer and Jada Pinkett Smith. 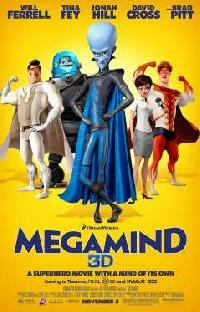 In this hilarious twist on the typical superhero movie, an unimpressive supervillain known as Megamind finally manages to conquer Metro City and defeat the dashing Metro Man, but must soon deal with a more-sinister evildoer. In this stylish animated Western directed by Gore Verbinski, an idealistic chameleon named Rango (voiced by Johnny Depp) winds up as the sheriff of a small desert town full of animals, and the pressure soon mounts for him to save the day from a slew of Old West-style villains.? 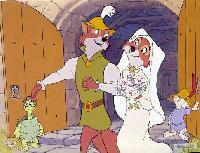 ",27.jpg,Incredible Animated Movies 3498,ROBIN HOOD (1973),This Disney release presents the imaginative "animal" version of the Robin Hood legend. Fun and romance abound as the swashbuckling hero of Sherwood Forest (a fox), and his valiant sidekick (a bear) plot one daring adventure after another to outwit the greedy prince (a scraggly lion) and his partner (a snake) as they put the tax squeeze on the poor. Animated Walt Disney classic about the slumbering princess who can only be awakened by a kiss from a prince. Voices... Princess Aurora: Mary Costa. Prince Philip: Bill Shirley. Maleficent: Eleanor Audley. Flora: Verna Felton. Fauna: Barbara Jo Allen. Merryweather: Barbara Luddy. King Stefan: Taylor Holmes. King Hubert: Bill Thompson. Goons: Candy Candido. Mermaids are supposed to stay under the sea, but Ariel, a headstrong teenager, longs to be part of the magical world on land. When she falls in love with a human prince, Ariel strikes a bargain with the diabolical Sea Witch to win the princes love. "The Little Mermaid" is a beautiful splash of art and music that revived the classic Disney tradition. In this delightful animated adventure, charming bandit Flynn Rider (voice of Zachary Levi) is taken hostage by Rapunzel (voice of Mandy Moore), a long-haired beauty who longs to escape the tower where she has been held captive for most of her life. Andys toys land in day-care after he leaves for college, and hatch a daring escape plan in this fantastic addition to the "Toy Story" series. Meanwhile, some of the gangs new friends arent quite what they seem.